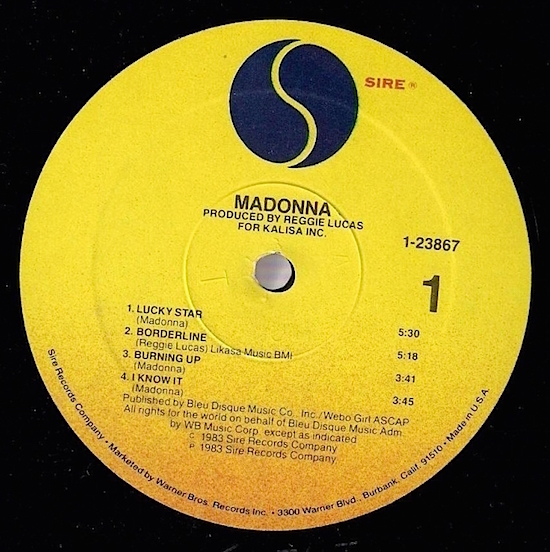 On May 19 2018, musician, songwriter and producer of Madonna’s first album, Reggie Lucas, passed away at the age of 65. Lucas’s professional career began at 18 years of age when Miles Davis selected the guitarist to join his band. This eventually evolved into songwriting and production duties for vocalists Roberta Flack and Stephanie Mills. 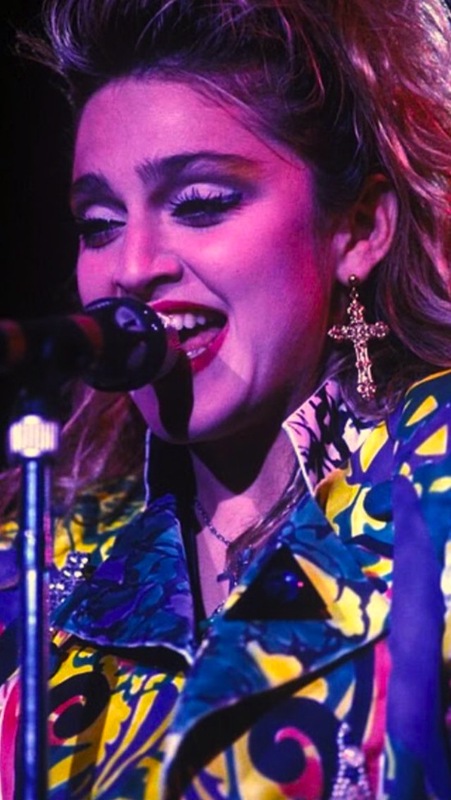 However, he is most frequently cited for his work with Madonna, beginning with her second single, the double-A side Burning Up/Physical Attraction recorded in late 1982, and her subsequent self-titled debut album. In addition to producing the bulk of the album, Lucas also wrote two songs for project: the hit single Borderline, and the carnal club classic, Physical Attraction. Well, she was a white artist wasn’t she? [laughs] It was the main thing that made her different. 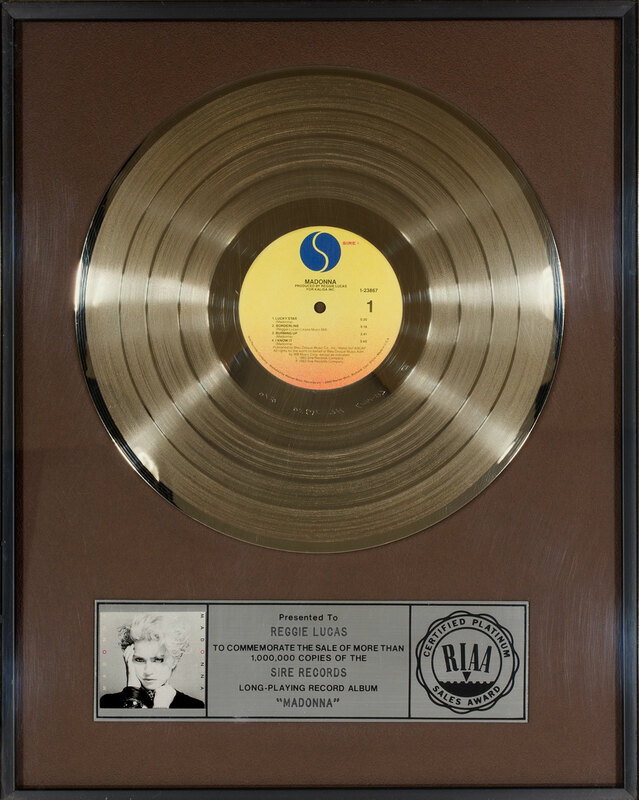 When I came to the Madonna record, I came with two things. The first thing was I brought a lot of success and a solid background as a hit producer and songwriter within the R&B world, but it was also with the skill as a composer and rock and roll guitarist. 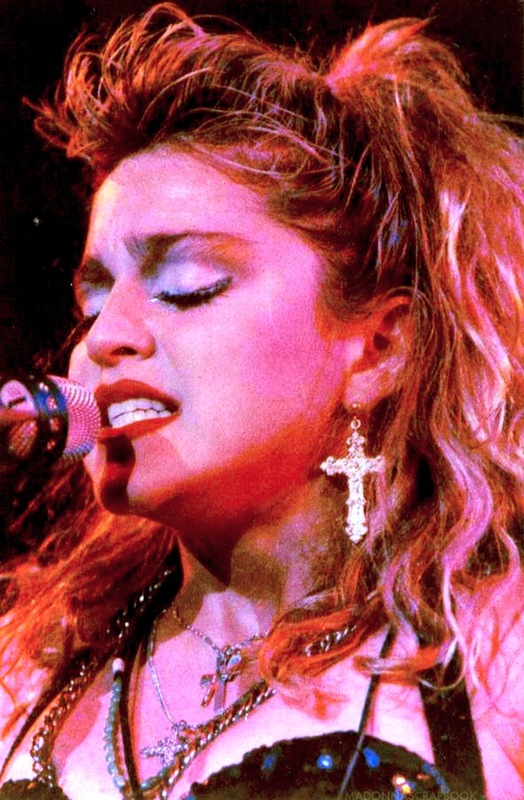 Madonna was simply the first opportunity that I had to play around with other musical interests that I had. You couldn’t make the first Madonna record for Phyllis Hyman. I couldn’t make Miles Davis music for Roberta Flack. Miles was the one place where I got it all out of my system, and that was the beauty of Miles.As a producer, you understood that your first job was to support people to achieve that end. You challenged the artist just enough to bring out the best in them and introduce them to audiences that they normally wouldn’t be introduced to. When I did “Physical Attraction,” that was just it. She was a little different. Madonna was wilder in terms of her look and image; I don’t know if her music was that much wilder than anyone else back then. I think her music was sexually freer and it predicted what was going to happen in the future. She was definitely an innovator when it became to being more suggestive, which was pretty cool. I thought it was great.So–mixing that with my musical background, Madonna’s first album was really a hybrid of her interests and mine. “Physical Attraction” was our starting point with that style. It did pretty well and she began to move forward with her career and sound. She had a lot of material that she had written and collaborated with other people on in the course of being signed to a record label. When she met me, “Everybody” was about to come out and she had written “Lucky Star.” My role had been as a creative songwriting record producer. 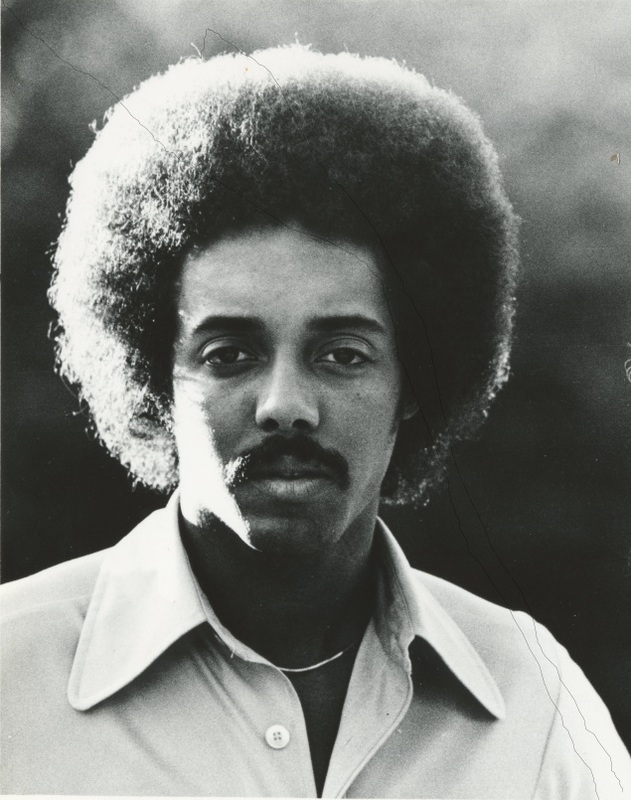 [Musician James] Mtume and I typically wrote a good percentage of the material we produced for Stephanie Mills, Phyllis Hyman, and those artists. So that’s what I ended up doing for Madonna. I would write songs and ask her, “What do you think of this?” “Physical Attraction” and “Borderline” were done specifically during the production process and for her. They weren’t demo songs that I was shopping around. She was diligent, it was a pretty good experience. She wasn’t the type of artist that you had to go and look for. She wanted to be successful. She was always there when she needed to be. I was used to being in charge of things so I was always there at the studio ready. I made sure everything moved smoothly for her so that the process surrounding being in the studio was fairly transparent to her. She had to come in focused on her music and performing as an artist and it helped my focus as well. The musicians I worked with were guys I had worked with for years. We worked out of Sigma Sound Studios, a studio I worked out of for years as well. She brought some very good people into the situation. It was very comfortable making the record. We made usage of synthesizers and drum machines. That was the first record that I ever recorded where I used a drum machine. It was one of the big transitions for me. We used Moog and Arp synthesizers, and that was relatively new technology back then. It gave the music a new sound. 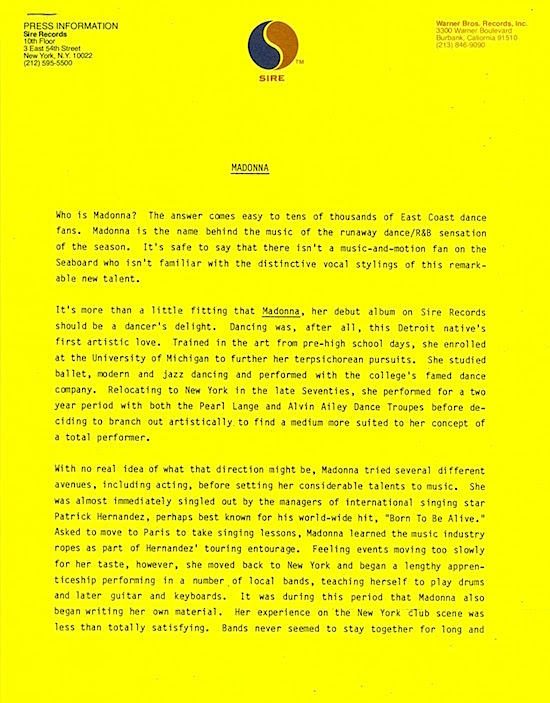 Madonna was an artist that knew what she wanted, but she wasn’t a record producer. So it was my responsibility to create a sound for her. She would be there interactively. If she didn’t like something she heard, she would say so and I would change it. The funny thing that happened on this record is when we got into the studio together we established this mini-Moog bass sound for her as her key sound. And she stuck with it for a long time. Were there any challenges in working with a low-budget and trying to break a new artist on a new label, Sire Records? It wasn’t really difficult at all. Sire wasn’t a new label. It was an independent record label that was acquired by Warner Brothers. It had an enormous amount of success with the English punk sound and dance music. Sometimes things just have a flow to them. 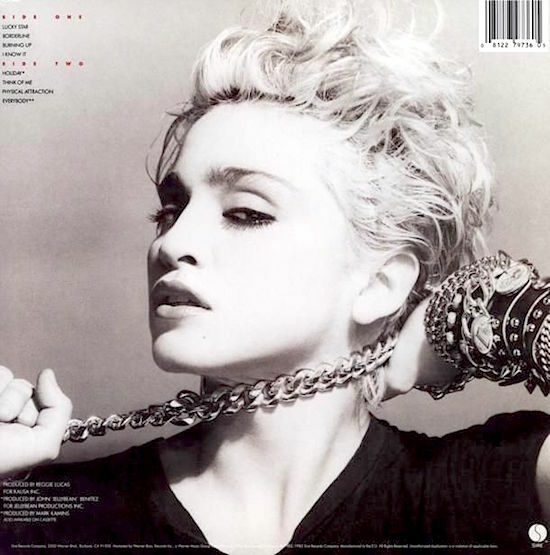 Madonna’s record had a flow to it. Michael Rosenblatt was always there and I worked with him from the label. He was great, he was a real pro. He knew how to be an A&R person for a record. He didn’t interfere, but he wasn’t so distanced from it that he didn’t have an idea of what was going on. Michael is probably an unsung hero of launching Madonna’s career. 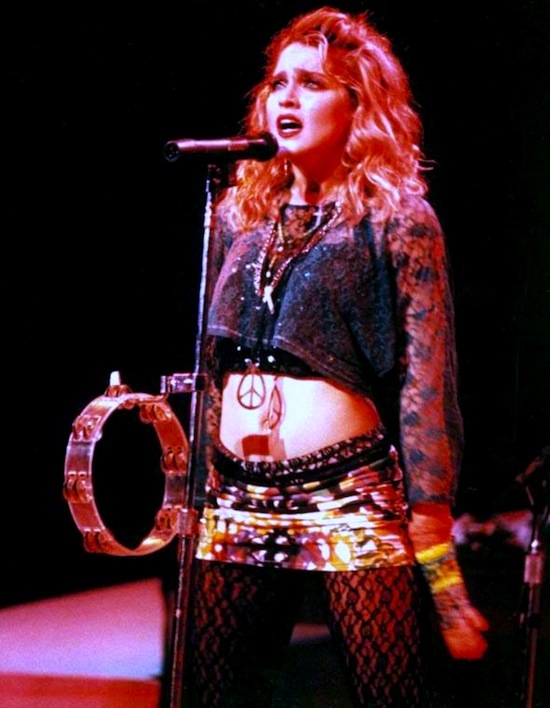 If you can believe it, Warner Brothers had very limited interest in Madonna when she was first signed. You know what they thought? 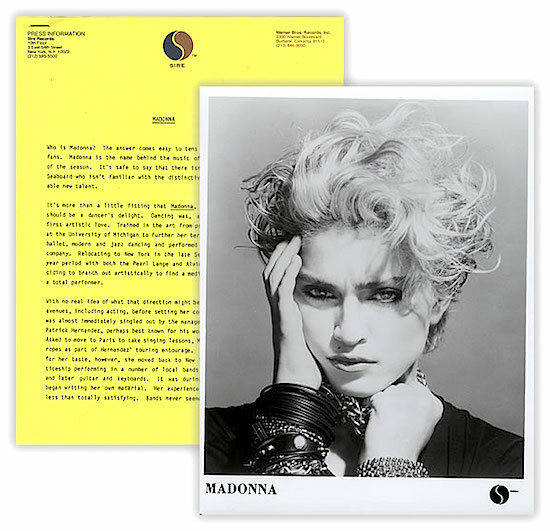 They said that Madonna is this new white artist that wants to sing black–so what they did was send her to the black radio stations when her first record came out, and that’s how they promoted her at first. They just treated her as a black artist. I guess they kind of envisioned her as Teena Marie. Madonna had an intense interest in black music, but she wasn’t Teena Marie. She was something different. But she did it and she went to the black radio stations and held her own. Frankie Crocker was playing her records in New York. 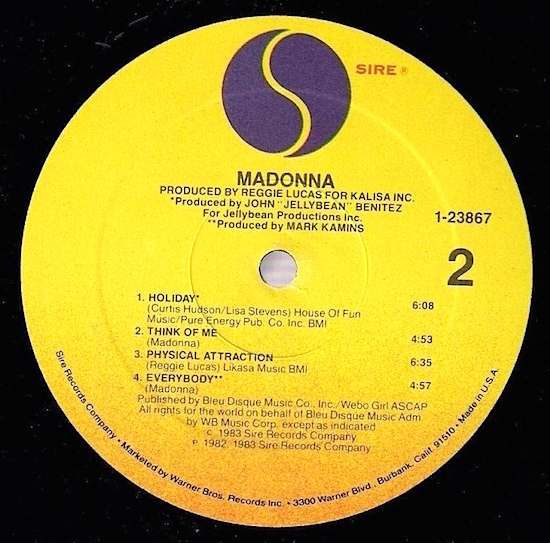 When you bring up the fact that Madonna was pushed toward a black audience, it would explain why “Physical Attraction” and songs like that were at top of the Billboard Black Singles Charts. You can’t make this stuff up. Warner Brothers really didn’t know what to do with her. See, there was a subtext to Madonna that had to do with her personality. She looked like a punk rocker to a lot of people. 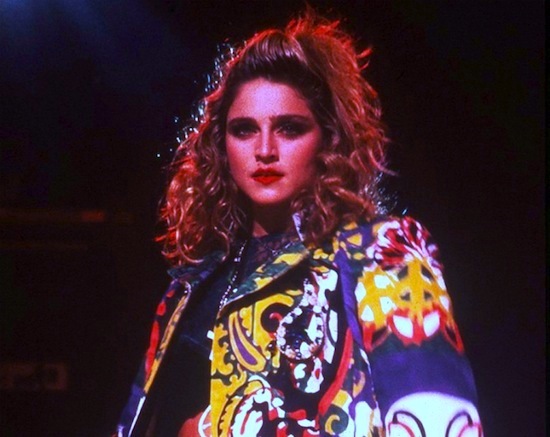 When people at record companies, law offices, and managerial places first saw Madonna before she became an established artist, a lot of people were put off by her. They thought she was too crazy and too weird. Being a music person and a human being, I don’t operate that way. I thought she was cool and different. I didn’t really know if she was going to become a big star, but I thought she had something valid to say and I could help her with it. Warner Brothers didn’t get it right away, but Michael Rosenblatt did.When she took off, there was an immediate, massive shift to move in and establish business relationships with her. In the beginning, she was just this little dance artist that Frankie Crocker gave a few spins to, and some DJs out in San Francisco, and she starts creating this buzz. Then, people at the record label started putting two and two together and got five. They immediately did a 360 and welcomed her with open arms. I’d write songs and put them on a little cassette player with me singing, and I can’t sing. I’d ask Madonna if she liked them, and she said, “Yeah, it sounds cool. Let’s do it.” I did the demos for “Physical Attraction” and “Borderline” and she brought in her demos for her songs to the studio. And we did what we did to them. Probably the most interesting one was “Lucky Star.” If you heard the original demo for “Lucky Star” and you heard what it came out like, they’re the same song, but barely. We really put a lot of creative energy into that one and it came out beautifully. 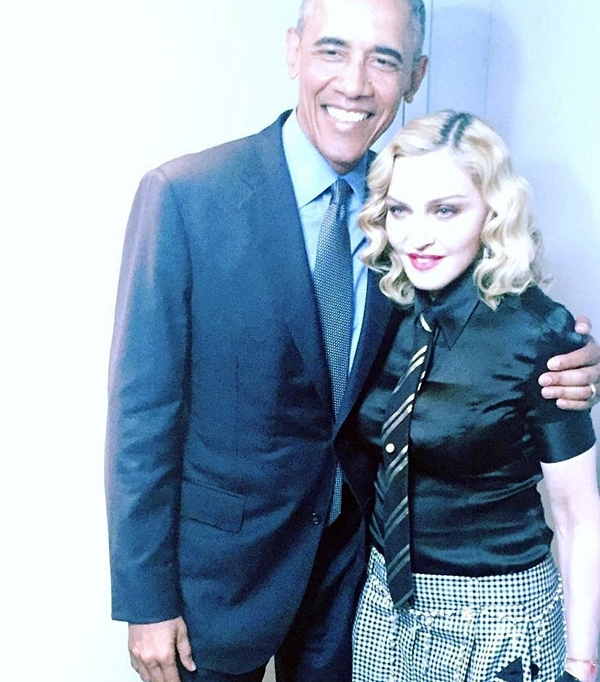 I must say, Madonna was great to work with in the studio. She really put in the work. She was a creative person. And it was one of the many reasons why it was disappointing not to be involved in subsequent projects. It’s just one of those things. Look, she picked one of my good buddies, Nile Rodgers, to do the next record. She couldn’t have picked a better person. I always had a pretty casual process of making songs, but with some formality. I kind of inherited how Miles Davis used to operate. So we would come in and the songs were simple they didn’t require a lot in the way of charts. I would write out a little chord sheet, but the musicians were so good they would learn these things. 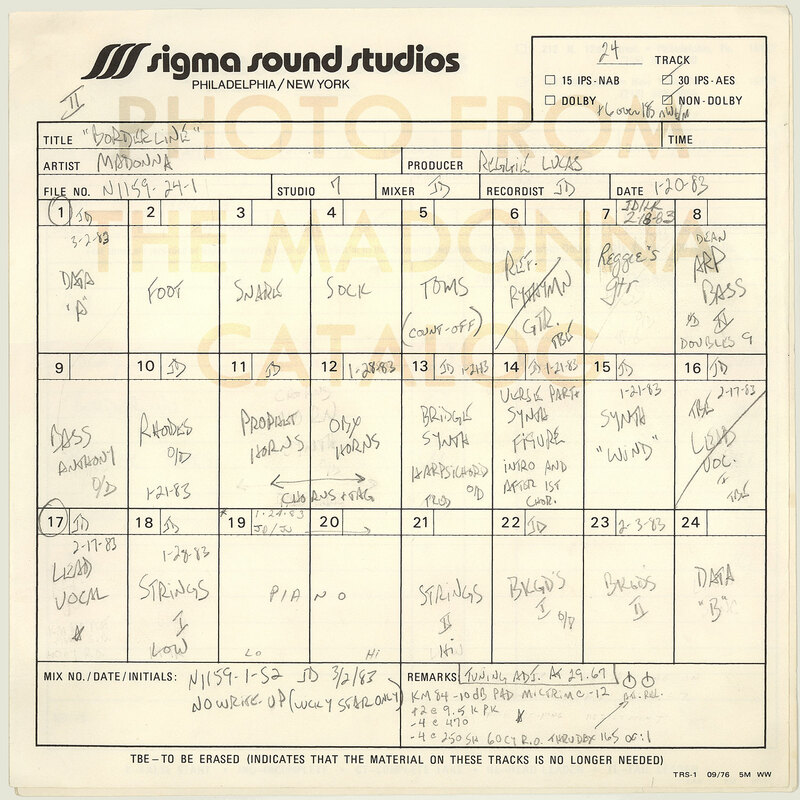 They were really used as templates to try to find in the studio what we wanted to do with the songs. I’d make a lot of creative decisions and creative additions and subtractions to whatever was going on in the studio. We didn’t spend a lot of time messing around either. I think that’s the trick.When you make a pop record, you don’t want it to sound sterile. You want to bring some of the improvisational excitement of jazz, but without the actual 15-minute saxophone solo. 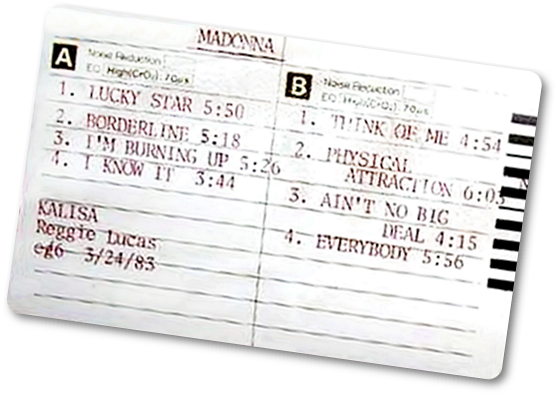 You can’t have a 15-minute saxophone solo on a Madonna record. You have to find a way to build in this excitement in a way that just works. Being a member of rhythm sections as a guitarist was always helpful to me in terms of understanding how music works from a production-quality standpoint. When you’re a member of a rhythm section, you know when the music is a dud because you’re right there as it happens. I always felt that I was always in tune to the level of energy, precision, and crispness of rhythm section performances. And I think that’s the key to so many records. As you look back 30 years later, how do you feel about the impact the album made on popular culture after it was released? 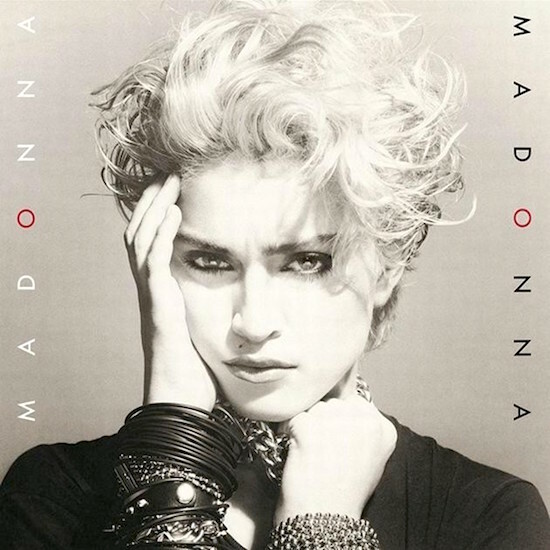 It’s regarded as one of the most important pop albums from the 1980s. Well, I don’t know. I think everybody involved in the arts has a tendency to take themselves a little bit too seriously. I made a great record, and I and a lot of people liked it. It sold a lot of copies and launched careers and created opportunities for people. And that’s what you want to do. That is supposed to be the outcome of your good work. I don’t think it changed the nature of life in America or anything like that. [laughs] It was just a good record. 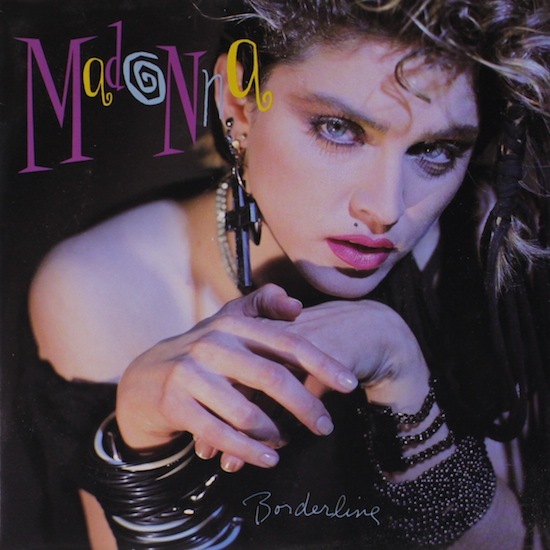 On June 16 1984, Madonna’s Borderline hit #10 on the Hot 100 in the USA.